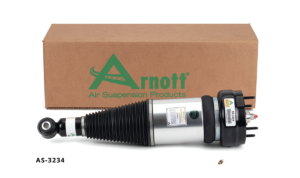 Arnott announced rear air suspension replacement struts for 2011-2018 Jaguar XJs and a new air suspension compressor for 2012-2016 Mercedes-Benz ML-Class and 2013-2016 GL-Class. The strut works with both standard or long wheel base and rear or all wheel drive models. The strut fits either the left or right side and is built with a cross-cord multi-ply ContiTech air bladder, heavy duty crimping rings, polyurethane bump stop, and O-Rings. 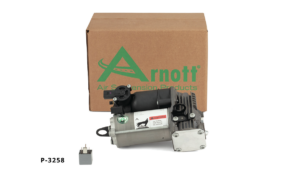 The compressor is assembled with vehicle-specific mounting brackets and reuses the factory isolators and mounting hardware for fast installation. It comes with an integrated air dryer unit, new relay, thermal overload protection, quick connect air fitting, intake hose, and mates perfectly to the OE electrical connectors.